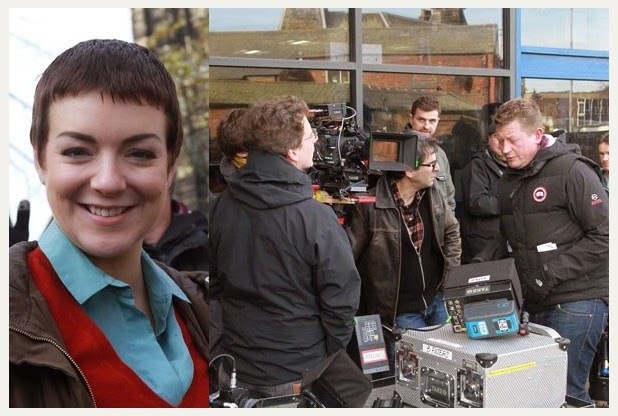 Sheridan Smith is soon to appear on ITV again starring in a new three-part thriller Black Work as police officer Jo Gillespie in the drama, written by Matt Charman and produced my Mammoth Screen. The character she plays is is mother to 7-year-old Melly and stepson Hal who is forced to confront difficult truths about her family life and marriage when her undercover policeman husband Ryan is shot dead in mysterious circumstances. She is distraught when she unravels the last six months of her husband's life and discovers he's been watching a man recently released from prison. Matt said of working with Sheridan: "Sheridan is a dream to write for because as an actress there's really nothing she can't do ... And 'Black Work' is a story that pushes her to the limit - it makes her character, Jo Gillespie doubt herself, her family, her friends, everything she's always taken for granted in her search for her husband's killer." Filming took place in Bridlington and Beverley last year. More details of when the series will be shown on ITV to follow shortly.